Couch coffee house and restaurant is one of my most family friendly places to eat. In the last month I’ve probably been there way too many times but I can’t help myself; it’s delicious! It’s so suitable for Eric too with the sofa arrangements so he doesn’t have to sit at a table (perfect for restless legs), toys provided and yummy milkshakes (vegan!). 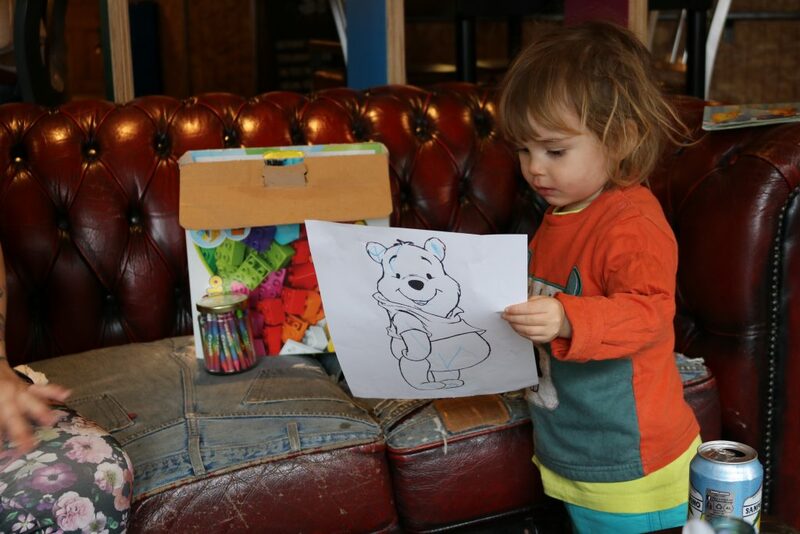 4 Reasons Why You’ll Love Eating at Couch with kids! There’s two places you can find Couch in Sheffield: Campo Lane and Ecclesall Road. I’m a regular at the Campo Lane in Sheffield City Centre as I just prefer it to the Ecclesall Road. I think it’s more spacious and a tad more family friendly. Eric always likes it there which means I can actually enjoy my meal while it hot instead of trying to keep him entertained (or persuade him to eat the meal I ordered for him!). The options for dairy free and vegan are great on their funky menu so with all of us being vegan this definitely makes us happy. It’s super tasty too, always hot and fresh. 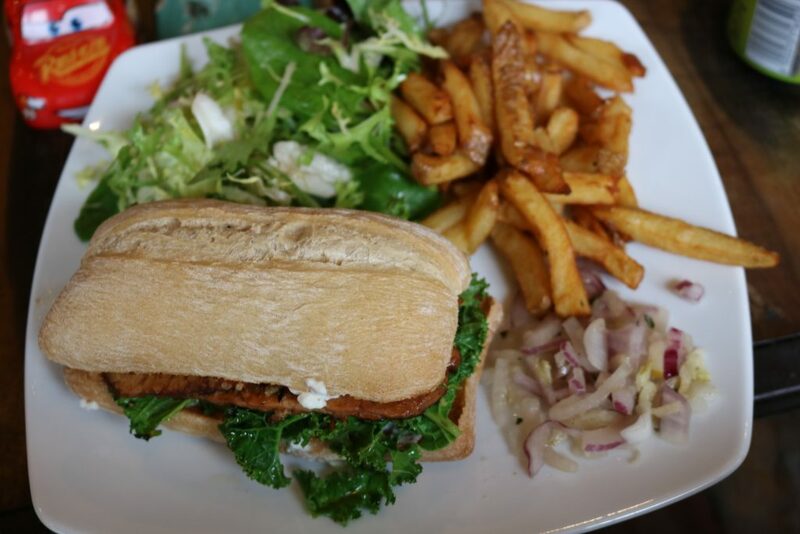 I seem to order the same thing every time we go as I just can’t help it, it’s delicious: the Smoked Tempeh rashers sandwich with garlic and ginger kale, beef tomato and vegan mayo. The menus are here and the food is different depending on which one you go to, I think the smoked tempeh sandwich I love you can only get at Campo Lane. 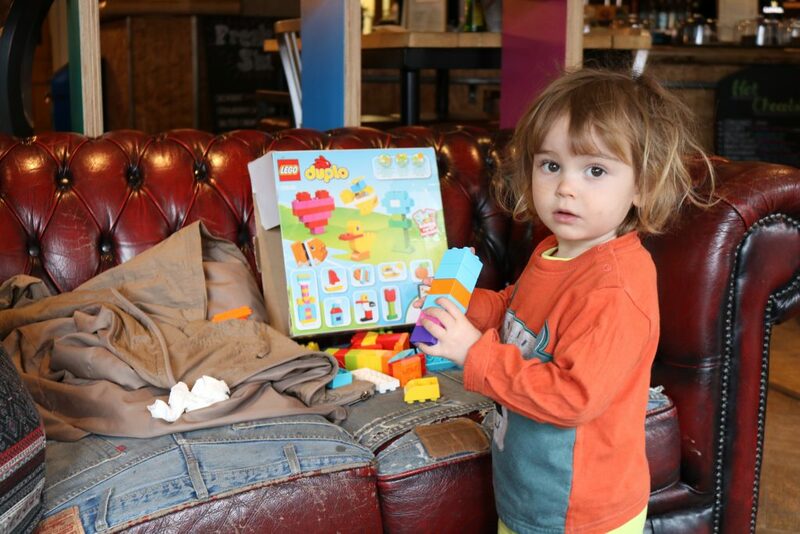 4 Reasons Why You’ll Love Eating at Couch with kids! I don’t know about you, but getting Eric to eat sat in a restaurant can usually end in a disaster. Cafes with laid back atmospheres are much better and this is why we love Couch so much. 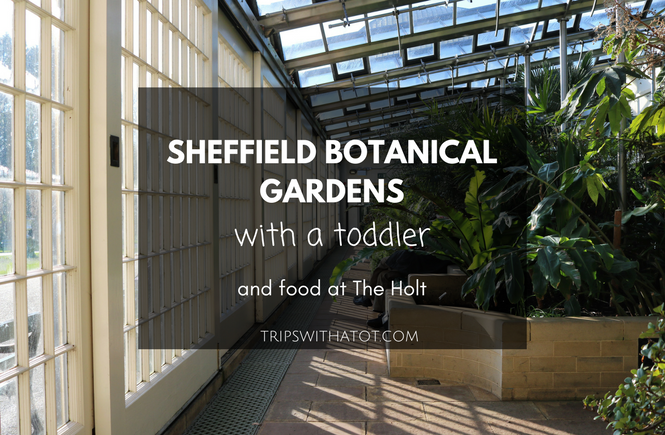 It’s very spacious, the tables are not close together which is great for toddlers who want to roam, and there’s a variety of seating options. The sofas are big, comfortable and perfect for playing on. The tables are low, so you can all share food with little ones without them reaching up. Eric usually goes around the sofa/table playing, eating and just enjoying it… it’s completely relaxed and easy. Lots of vegan options mean those who are dairy free can enjoy, too. We especially love the milkshakes; the vegan strawberry one is a favourite for Eric! Breakfast, lunch and dinner is served at Couch with delicious cakes to finish up with! There’s lots of drinks on offer from hot coffees to cold beers, pizzas, side dishes and burgers. This is great to suit everyone whether you want a tipple or a hot coffee with your breakfast. It’s definitely a good option for all ages. It would be good for families who want somewhere family-friendly yet trendy and “grown up” to eat with friends. Eric keeps busy with the duplo lego box they provide! 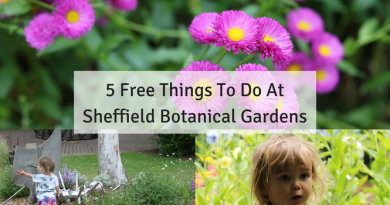 There’s also books, colouring and stickle bricks. It’s great they have this stuff for little ones; it’s definitely a novelty and Eric looks forward to going there, and keeps entertained long enough for us to actually enjoy our food. 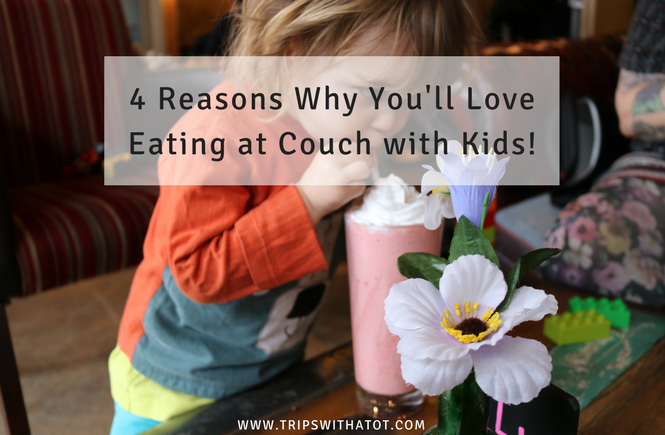 🙂 4 Reasons Why You’ll Love Eating at Couch with kids! High chairs are available, too. 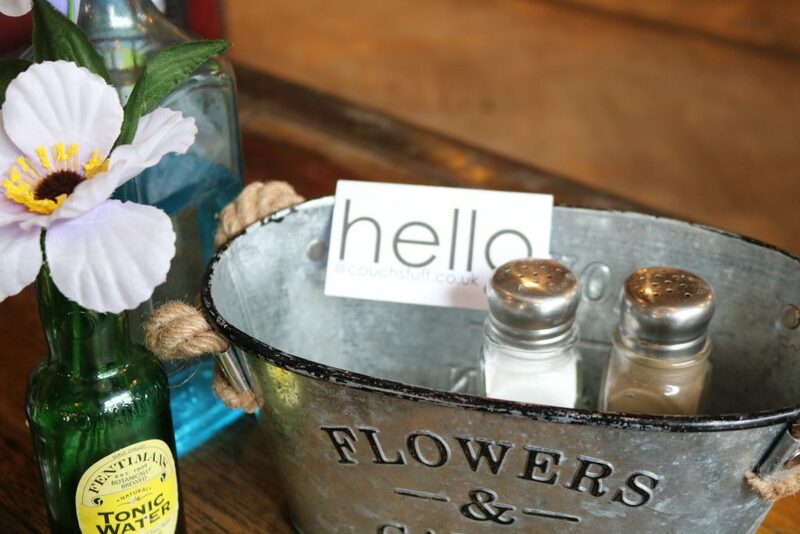 4 Reasons Why You’ll Love Eating at Couch with kids! 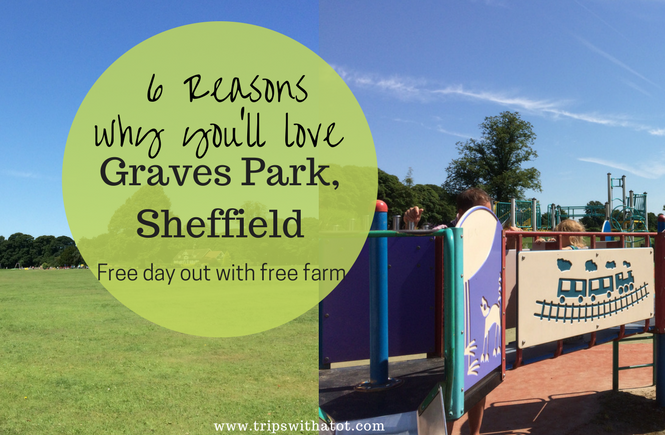 Looking for more family friendly places to eat in Sheffield?